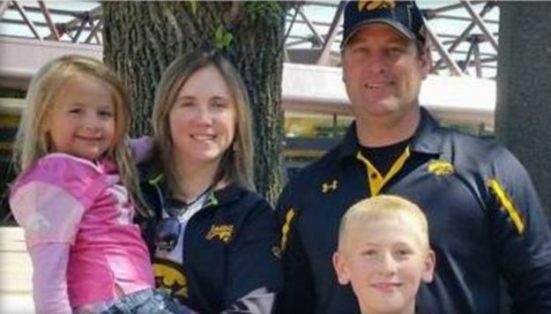 Kevin Wayne Sharp; his wife, Amy Marie Sharp; their son, Sterling, 12; and daughter Adrianna, 7, of Iowa died from inhaling toxic gas while vacationing in Mexico. The bodies were discovered Friday at a rental condominium in the beach town of Tulum. Autopsies showed they suffocated after inhaling toxic gases. There were no signs of foul play or suicide, officials said. There was no evidence of a disturbance inside the condo. Authorities performed "physical inspection of the room's gas installation" and are expected to release a technical report at a later date.